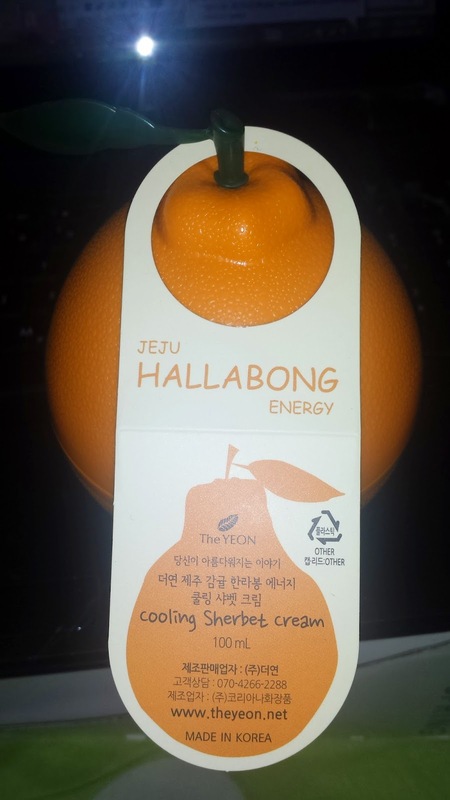 So I have requested and been eyeing the Yeon's Hallabong products on Testerkorea for a LONG time. I promised myself that I would get it for the New Year and I did!!! I placed the order on January 2nd, shipped out on January 16 and I received it on January 28th. It took 26 days, with two weeks just on standby. Oh well. I was extremely excited to receive my package!!!! 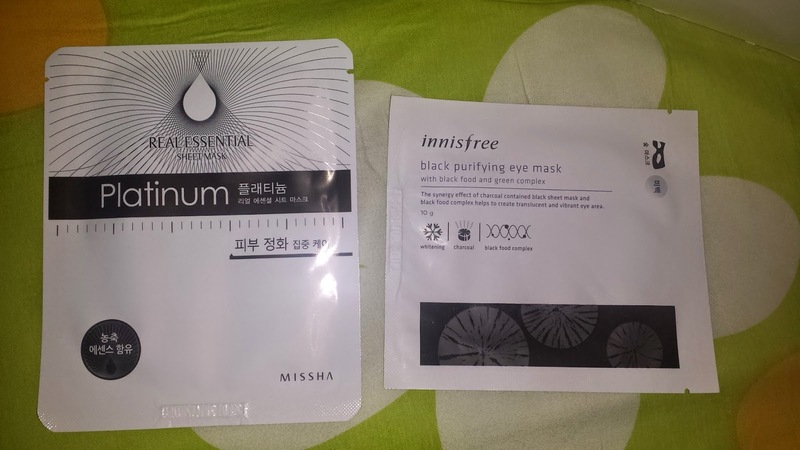 I was surprised to receive two masks as my samples! Pleasantly surprised! Though I have to admit I was a tad disappointed because I wanted loads of samples to try. My opinion has changed since I received samples with my order.. A mask is always better than samples, unless you get LOADS. I received the milk version in a Memebox and was really impressed by its lightness and its smell. I decided to pick up another milk one along with the honey. Now I am really unimpressed with the honey's smell. 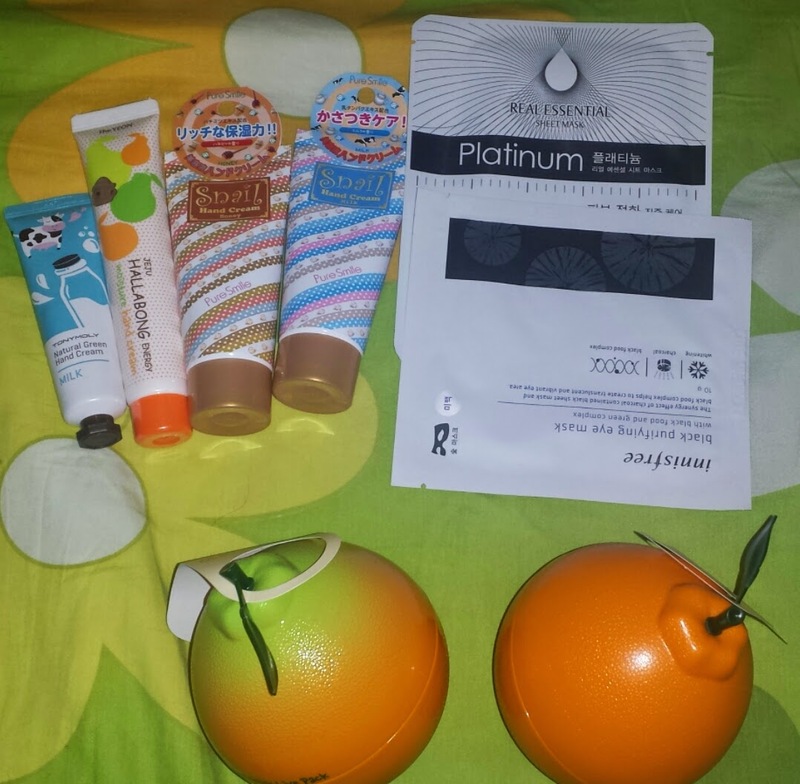 It smells just like the Pureplus honey snail lip treatment. The smell really bothered me so I gave it to my coworker as she liked the smell. Oh man! This is my favourite hand cream so far! 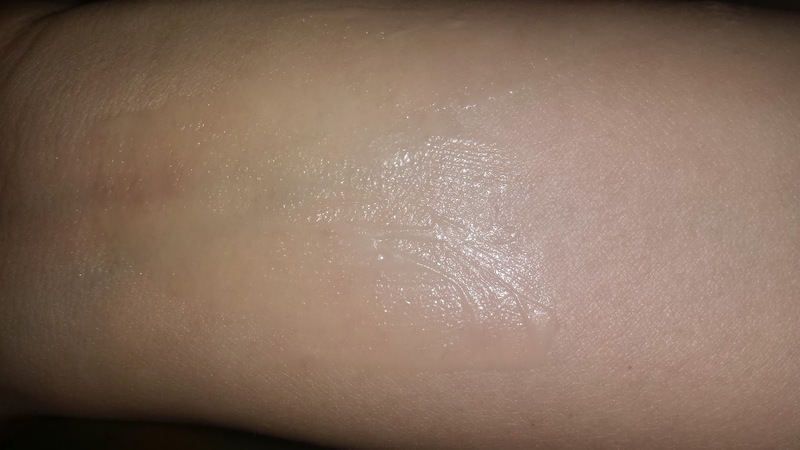 It has a slightly yellow tinge and it feels very moisturizing. It smells just like the toner from the line. 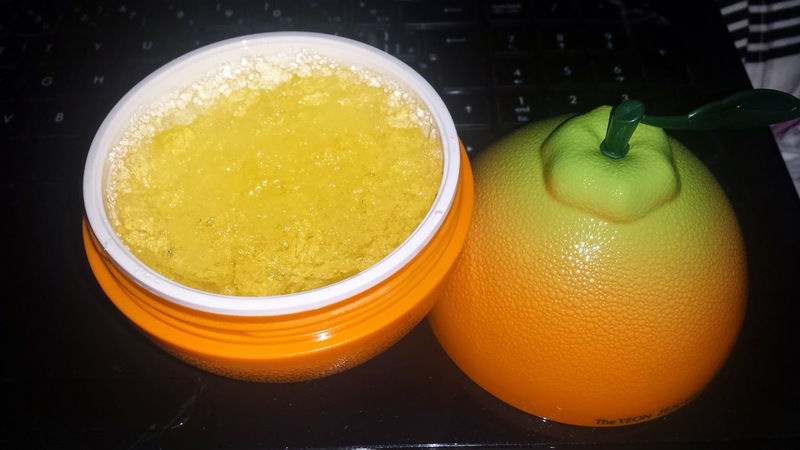 It smells like a cross between an orange, satsuma and a grapefruit. It's a wonderful citrus smell. 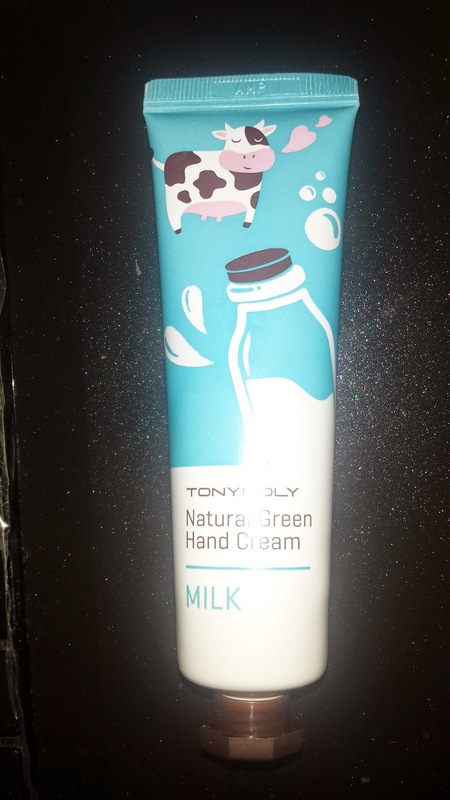 It is similar to the Innisfree Hallabong hand cream but less BO smelling. I had such high hopes for this hand cream! 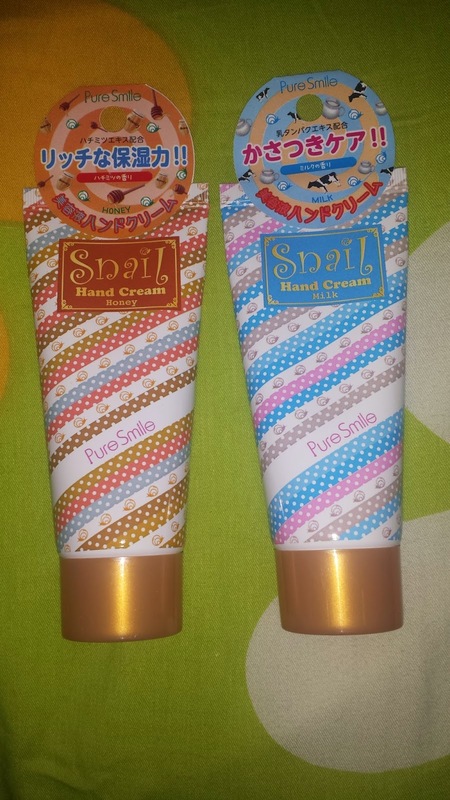 I thought it would be a similar sweet milk candy smell like the Pure Smile Milk hand cream. But NO! It smells like baby powder mixed with a little bit of milk. It's just gross smelling to me. I gave it to my coworker as well and she thought the smell was a bit off too. Just don't waste your money risking on this smell. Texture wise, it feels like any other hand cream. 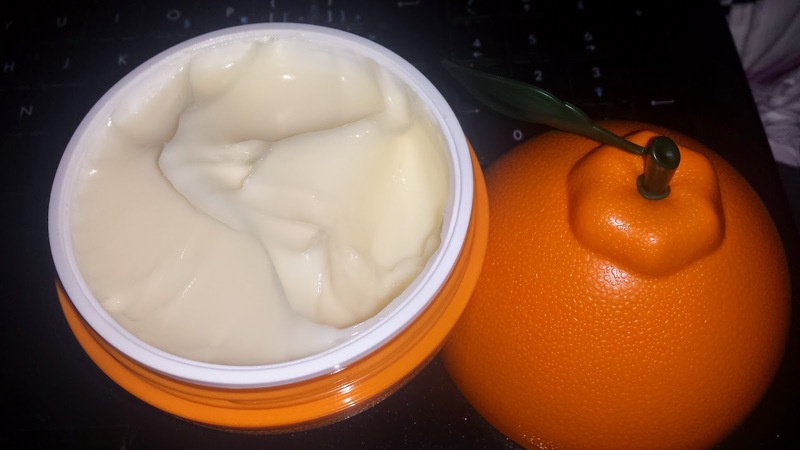 It's not super thick like a body butter but it's not watery like the Pure Smile hand cream. It feels like it could be moisturizing enough but I had to wash it off due to the smell so I can't say for sure. 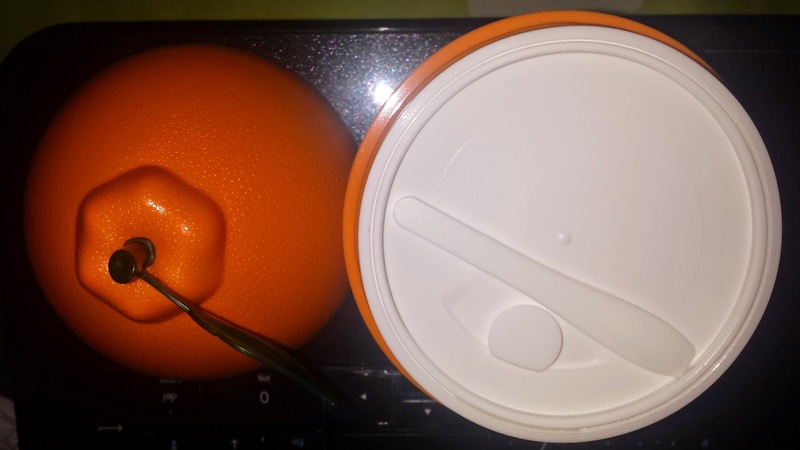 The oranges!!! The reasons why I placed my order!!! 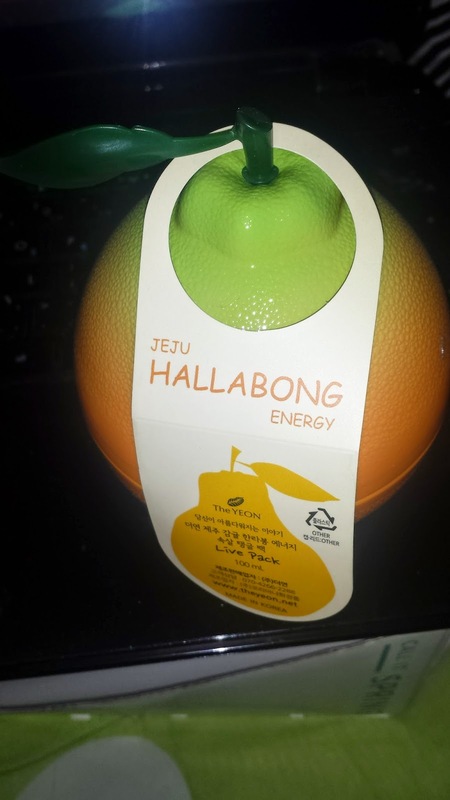 This is shaped just like a Hallabong, and smells just like the products from the same line. 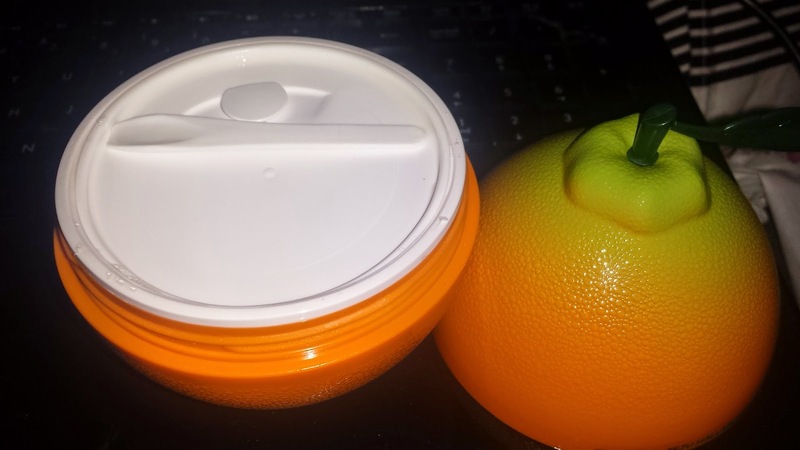 I love the smell and can't wait to add it to my collection of fruit containers! The cream feels thin, a mix of gel and cream. 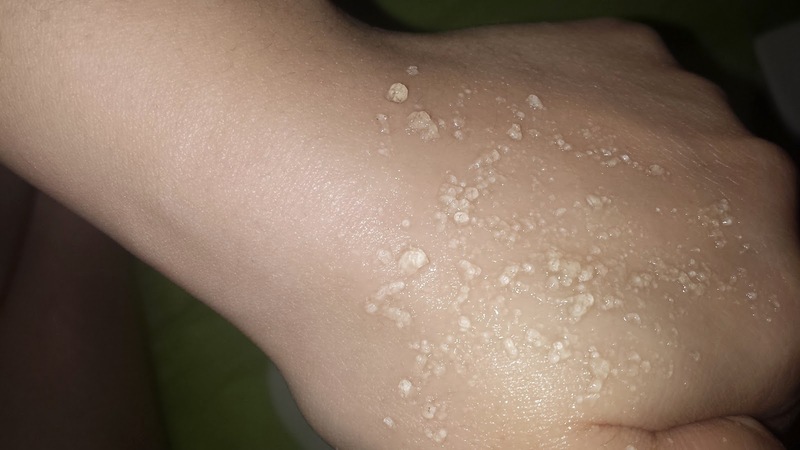 I didn't find the cream to be very moisturizing when I first swatched it. But when I actually tried it on my face I liked it. The cream made my skin feel slightly oily but I think it's because I didn't rub it in enough. Once I rubbed it in, it made my skin feel silky. I love the smell of the cream and its adorable container. But I don't think this will replace my daily moisturizer. But I will probably use it as a sleeping pack instead. To provide that extra oomph of moisture during dry days. This is the item I requested on TesterKorea. I didn't know what it was for. 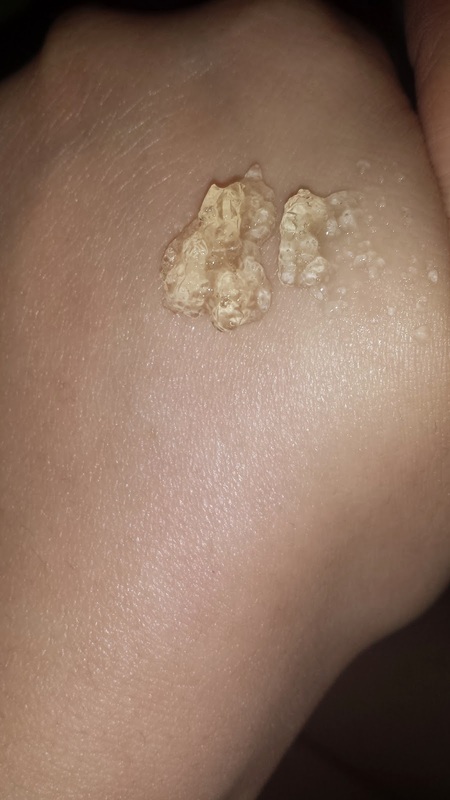 I thought it was a clear gel to be applied. But once TK posted their translation, I realized I was wrong. Oops. But since I requested, I felt obligated to order it. This live energy pack smells just like the rest of the line. :D I feel like I am repeating my self over and over again but really all of the items in the line has the same wonderful citrusy smell. This has the funkiest texture ever! 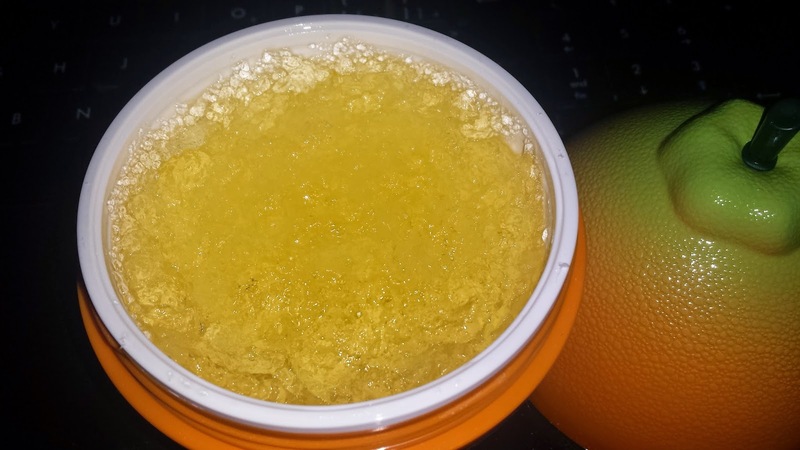 It looks like a jar of crushed ice but it's actually crushed gel. What you are supposed to do is to put it on the desired area, pat it to break it into smaller pieces. Massage it and let it dry for 15 to 20 minutes before washing it off. Now I am lazy, so I don't like anything that requires me to wash it off again after I finished cleaning my face. But I had to give this a try. It was weird putting it on, it is cold on the skin and it feels like I had clumps of gelatin on my face. It felt weird to break it apart into smaller pieces. Once it dries out, the live pack actually absorbs into the skin and the clumps disappears. Once I washed it off, my skin does feel more energized. I wouldn't mind doing it again whenever I feel like treating myself. Overall thoughts: I like the fact that I can request items at TesterKorea, but I am unimpressed with the standby period. Luckily I was patient and didn't mind waiting. I am also very unimpressed with how they price the items. I saw the Yeon's website and noticed TesterKorea got their price from the Yeon's list price + shipping price. I am sure the Yeon charges a flat fee for one order, some of the Korea stores also has free shipping over a certain amount. So because I ordered 3 of the Yeon products, I had to pay for shipping 3 times. Now I am speculating but I don't think the shipping between the Yeon & TK is as much as I was charge. Just a little annoyed that I paid more than needed in shipping but I guess that's how TK makes their money.